What is the first thing that comes to your mind when you are buying a bag? 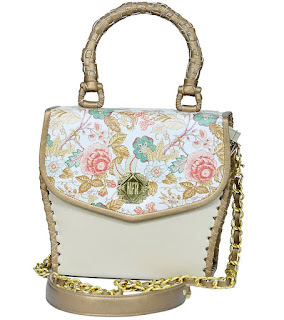 The initial impression is always the design of the bag triggered by the buyer’s need. However, the design is only part of what that particular bag is now. 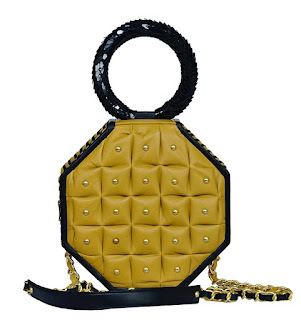 NEFER, in a short period of time, has carved a niche with exclusive leather bags that are all about making a statement. With attention to detail, elegant designing and unmatched construction the bags are quite a keeper, perhaps even on the road to acquiring the title of the “IT” bag in Pakistan. 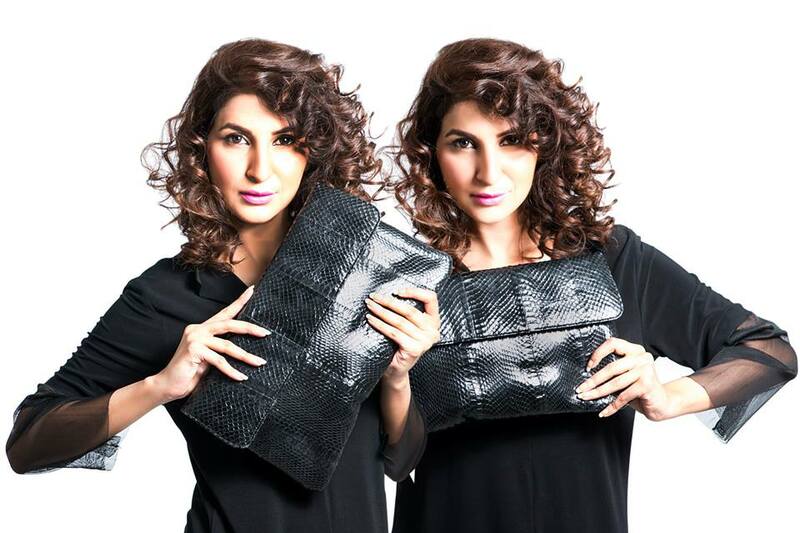 Every NEFER bag has a personality which comes from the visionary designer and owner of the brand, Nefer Sehgal. As per designer, inspiration does not come one particular source, it is all around us. We can get inspired by a person, a thing, an animal, there is no restriction or any particular formula, inspiration just pops up when it is supposed to. You just need to be focused and loved what you do. So keeping those inspirations in mind, we bring you the story behind the top 5 NEFER bags to date, which surpass the rest. One fine day a typical Pinterest browsing of tutorials of steam punk jewelry lead to the designer actually making some of her own which turned into a hit. Seeing the jewelry a friend inquired if the same inspiration can be translated into a satchel. That friend was Babrus, a very talented illustrator, so Nefer asked him to sketch out what he had in mind. 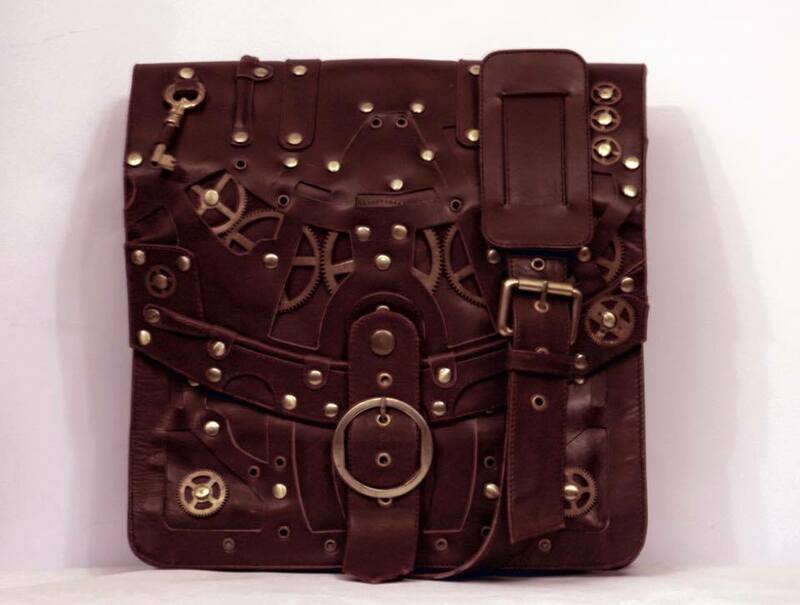 The collaboration led to the birth of the steam punk satchel which actually took 5 to 6 months in the making because the designer wanted to get it right. After executing Babrus’s sketch, Nefer went ahead and experimented further to make one with her own ideas. That was also the first time she got to use laser cutting, weaving and understanding clockwork parts through which she created more intricate detailing. Bill Blass once said “a woman can be classy and comfortable at the same time”. That is the core inspiration of the Leelu bag. 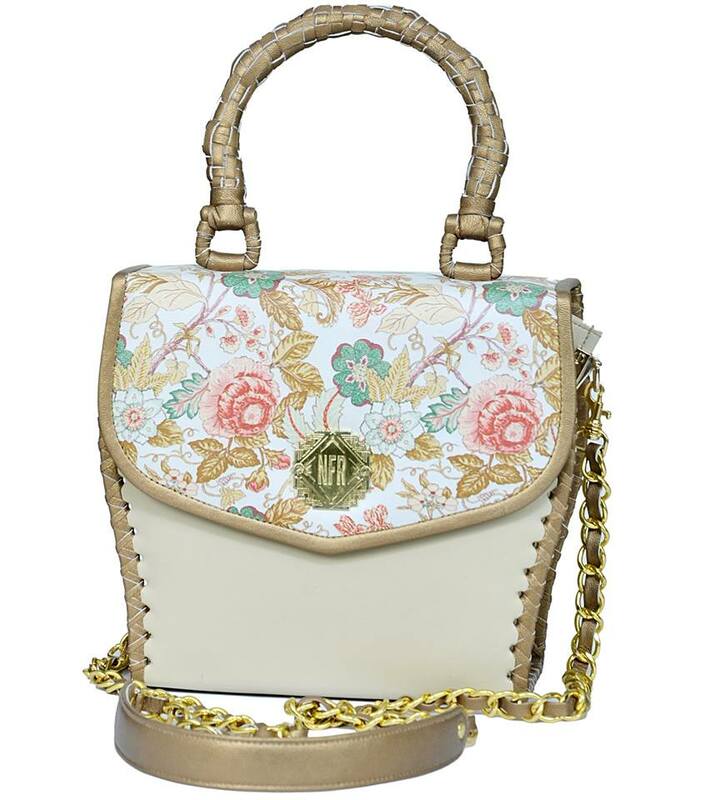 The bag is designed after a woman who is elegant, classy and has an air of confidence about her yet there is a little shroud of mystery that engulfs her. No one knows about her past, the challenges she has faced and the sacrifices she had made. “I hit a point in my life when I was at a point when I was not working and lacking direction and Leelu was there for me. Initially, I found her a bit stuck up but the more I got to know her the more I understood her big heart and her wisdom which helped me along the way,” explains Nefer, “She is like a mother to me and all that she had contributed in my life I wanted to somehow pay her a tribute, so I created the Leelu bag”. The bag is for women who may not go for anything funky, rather something vintage, elegant and unique with an air of decadence. The Paris bag idea dawned around the time of the recent Paris attacks. The designer wanted to pay tribute by creating something reminiscing her experience and memories of the beautiful city. In terms of construction, the shape is Moghul-inspired while the handles and straps are French. 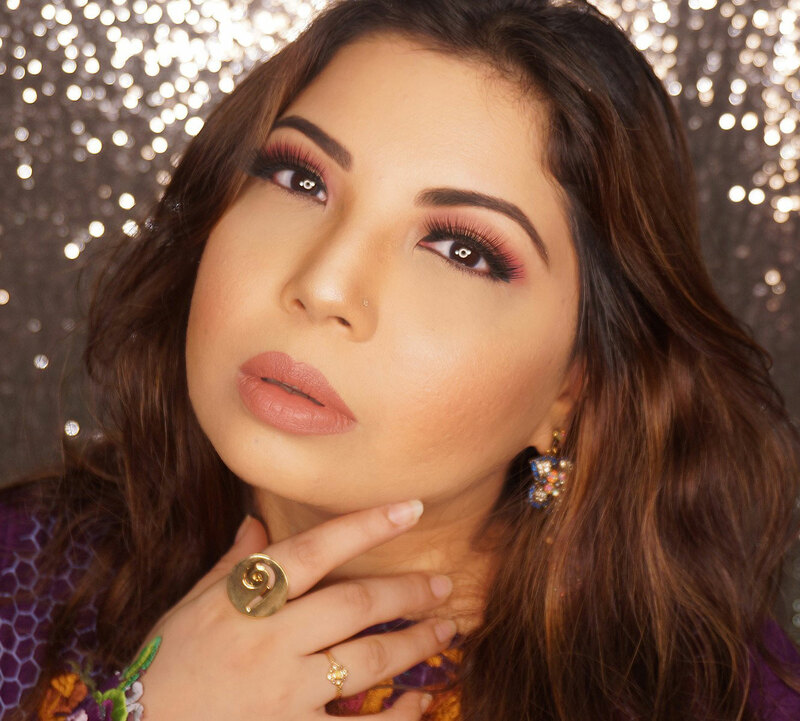 The digital floral print were to add details, translating the thoughts of the beautiful flower shops that are found in every street and something Nefer cherished during her trip and walks there. “The design took just an hour after I watched the sad incident. 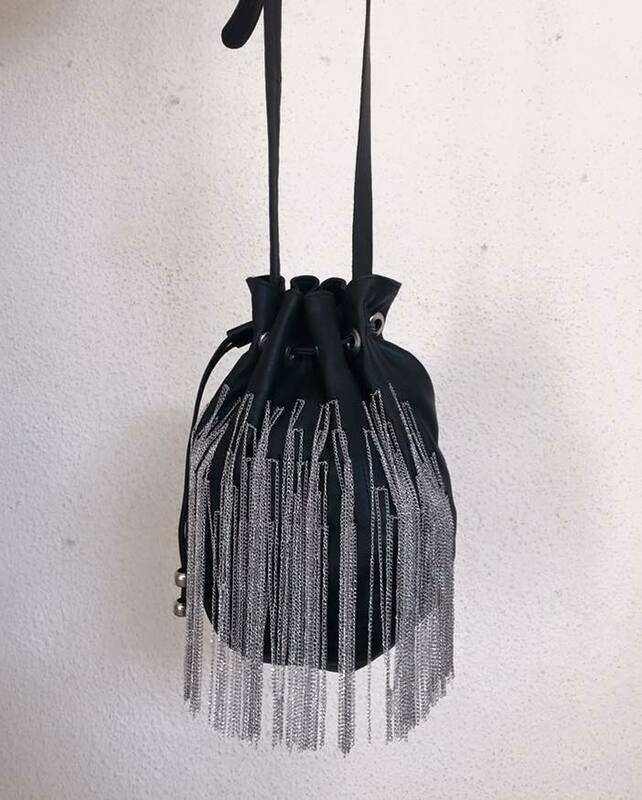 I wanted to create something as a tribute, a bag that personifies the true beauty of the city”, explained Nefer. This fun bag actually has an equally interesting back story. Nefer was initially brainstorming with her friend Annie for a name of a new bag design. Annie pointed out in jest about the similarity between the bag and a pineapple. That got stuck in Nefer’s head so all the names she was coming up with originated from the pineapple, like tropical and so forth. After a random name throwing session, the Tropical Spark just clicked. Even though the name is quite lighthearted and jovial the inspiration is more serious. The design inspiration has been taken by the armor shield from Sialkot where Nefer’s family is from. 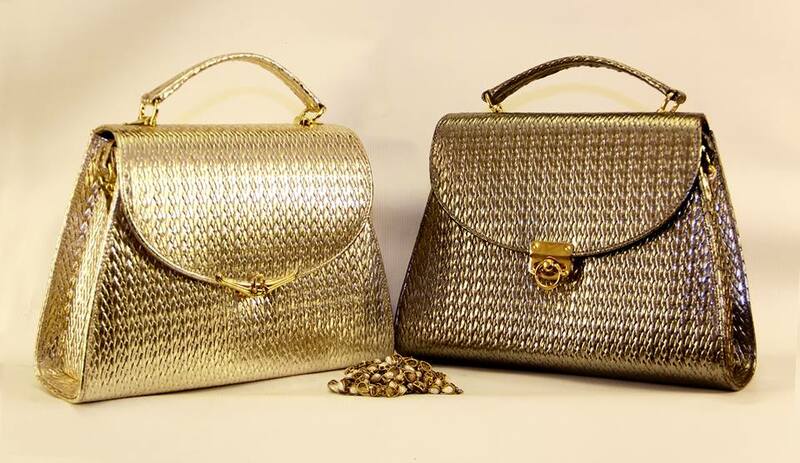 The quintessential design can be a shoulder bag as well and an evening clutch. The glistening, spherical handle is not sequined; in fact, the intricate detailing is actually created through feathered leathering. 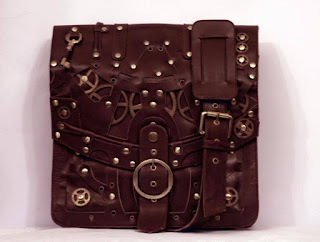 The idea of the Yasmine bag is actually a reassessed, more developed version of an experiment Nefer did when she was in college with rexine and some broken chain necklaces. Fashion always comes back, revisits, so this back did the same for me. The designer wanted to recreate it and then the Yasmine happened. It’s a grungy, rockstar bucket bag. She wanted to give the bucket bag a twist and that is what Yasmine is, bit of a goth, but not really. There you have it, an assessment of inspiration that become the basis of the NEFER bags. Firstly thanks for introducing these lovely beauties. I am just loving the paris and leelu bags. I love these bags esp Steam Punk, Paris, and shiny gold bag!